You shouldn’t speculate with the funds within your TFSA, even if you’re looking to boost your tax-free income. However, that doesn’t mean you should stick with the 4% rule and settle for a level of income that leaves much to be desired. There are safe and reliable dividends out there that yield north of the 6%, and while the sheer size of the dividend may limit the amount of financial wiggle room for the dividend payer, there are many cases where such super-high-yielding firms still have the means to sustainably raise its dividend further. When dealing with yields north of the 6% mark, it’s vital to pay significant attention to the cash flows and the financial health of the company under question. Not all high-yielders are built the same, however. Some companies have dividends that are meant to crumble, while others have predictable and robust enough cash flows that allow them to juggle high payouts and growth initiatives more effectively. The three dividend stocks in this piece will focus on the companies in the latter camp. With a dividend yield standing at 6%, we have Enbridge, the popular pipeline company that’s fallen out of favour in recent years. With a management team that’s stubbornly shareholder friendly, the company has continued to raise the bar on its dividend by a previously agreed-upon rate (minimum of 10%) every single year despite the recent barrage of concerns it’s been hit with. The balance sheet got tight, and there was a considerable debt just sitting around, but that didn’t cause management to pull the brakes on its dividend growth promise it had made to investors. Management promised double-digit annual dividend hikes, and that’s precisely what they’ve been getting, as the company made changes to its financial structure built around the dividend. Some pundits had slammed Enbridge for its reluctance to break its dividend raise promise to investors when times got tough. As cash-flow-generative projects gradually come online over the next few years, I believe we’ll look back and praise management’s “stubborn” decision to keep its dividend raise promise, deeming it as a smart move that’ll bolster Enbridge’s reputation as a shareholder-friendly firm. Don’t look now, but TransAlta Renewables’ dividend yield has shrunk to 6.75% (around 7%) as the stock has soared over 42% from its December 2018 bottom. Indeed, TransAlta Renewables has been one of the hottest stocks year-to-date, but despite the huge run, the stock remains reasonably valued at 15 times trailing earnings. 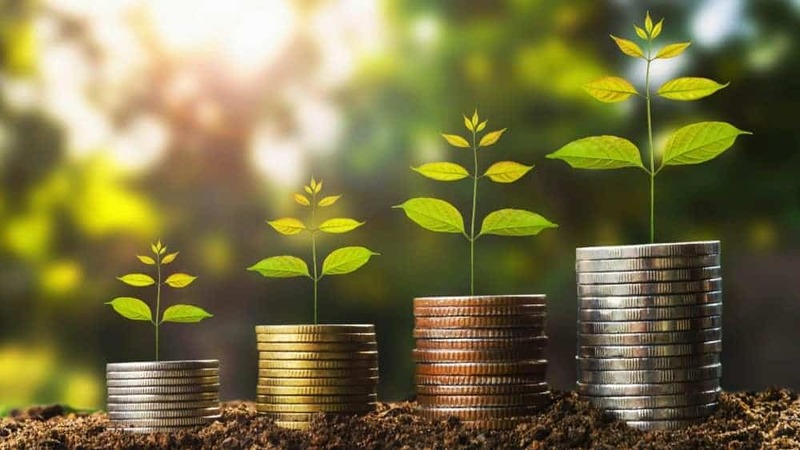 While the opportunity to lock-in a massive 8.5% yield alongside huge capital gains is all but gone, value-conscious income investors still have an opportunity to collect a fat and safe 6.75% yield as the company continues investing in cash-flow-generative green projects. With a sky-high yield of 8.1%, Inovalis REIT is in a league of its own. Unlike the last two names mentioned in this piece, shares of Inovalis aren’t down considerably from all-time highs. Despite the whopping yield, Inovalis REIT is off only 3.5% from its high which is remarkable. The relatively unknown European-focused REIT has a sustainable payout with the means to grow at a rate you wouldn’t think would be possible for a firm with such a high distribution. I think Inovalis has the safest and growthiest 8% yield on the entire TSX index. The only reason the REIT isn’t on everybody’s buy list is because of the mere $240 million market cap. As the REIT continues to expand its footprint in its markets of interest, I suspect more income-savvy investors will begin to take notice, eventually driving down the 8% yield to levels closer to 6%. My takeaway? Lock in that 8% yield before it’s gone.